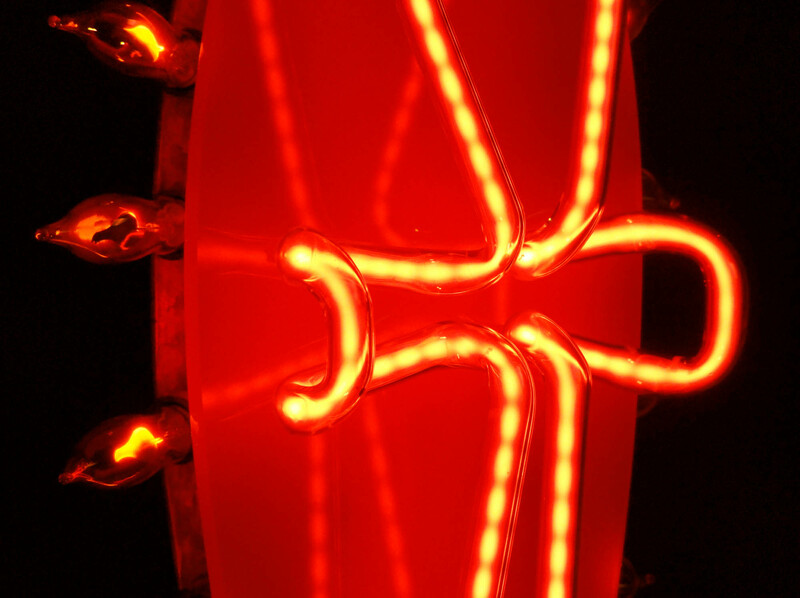 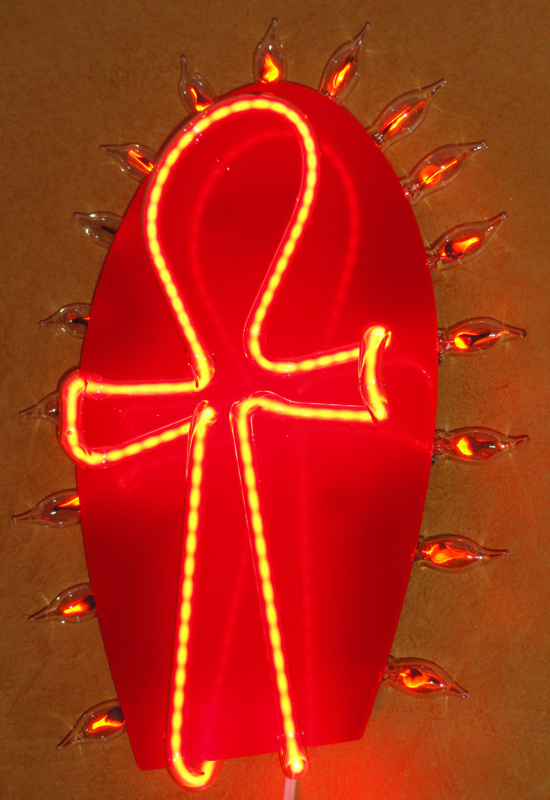 Sacred Ankh | Sanford Neon! 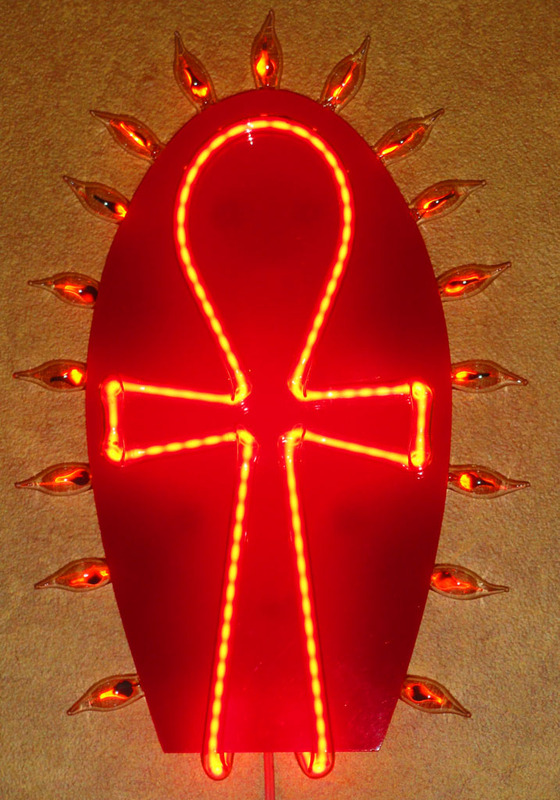 Neon Sacred Ankh is beyond description by video, photo, or word. 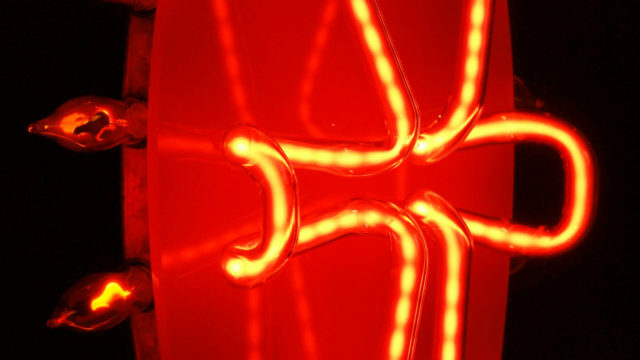 The richness of color, light, and movement can only be realized by first person experience. 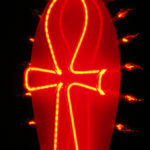 Ankh is the hieroglyph for Life.. & has been glorified for thousands of years. 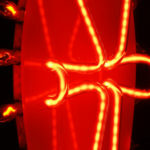 The concept with the flicker flame bulbs developed from my fascination with fire, consumption, and everlasting sun energy. 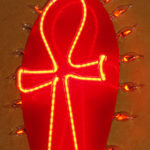 In ancient times, the ankh was often represented in copper or gold, symbolizing the warm life giving energy of the sun. 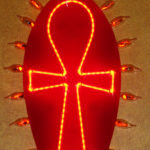 I brought these ideals together with a touch of christian styling,, and the ironic notion of humanity’s self consuming expansion. 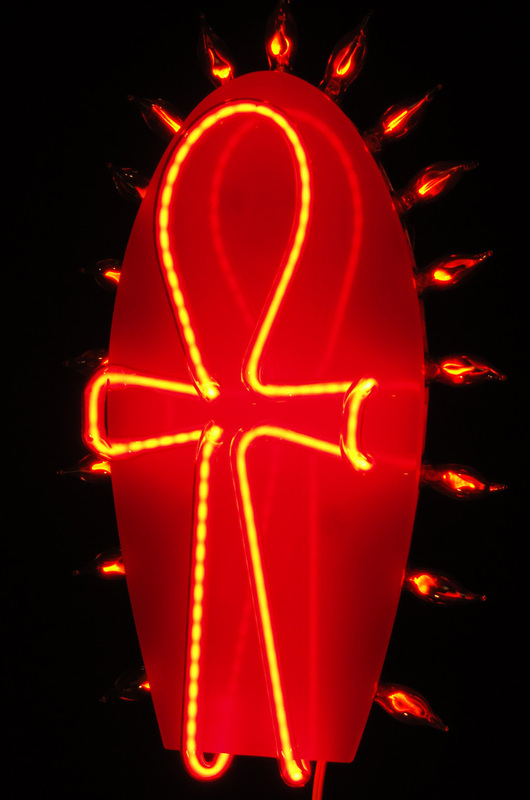 …At 17″tall x11.25″wide x 4″depth, Sacred Ankh is made of leaded glass, neon gas, red acrylic, epoxy, 17 flicker flame bulbs, aluminum, a neon beadmaker transformer (5,000 volts), & divine inspiration… Sacred Ankh was created the final week of 2010.